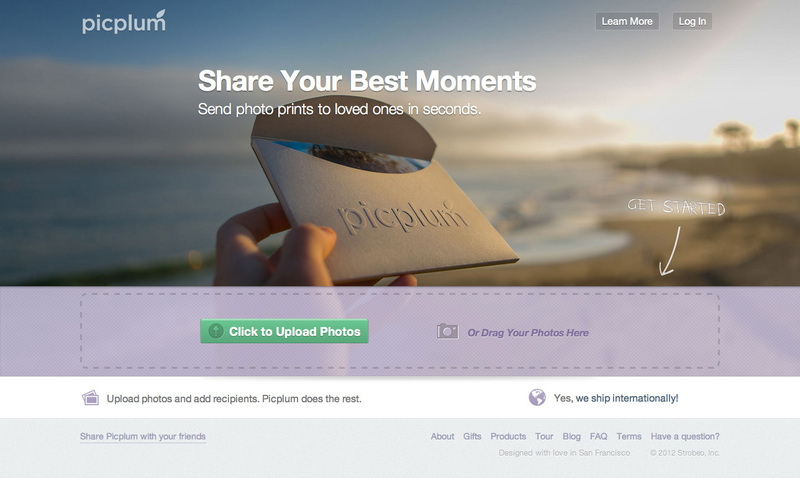 PicPlum, the Y Combinator-backed photo-sharing and printing startup that debuted last summer, is rolling out a major upgrade today. The focus, for the most part, has been on an improved user experience, offering everything from minor tweaks like address autocompletion, to new product offerings like more print sizes. But as a regular PicPlum user, I’m more excited about what they’re working on next: a mobile application and API that will allow any other developers to offer “print photos” from their camera or photo-sharing application. First of all, a confession: I’ve been using PicPlum since Day One, and I don’t think I’ve ever skipped a month. But I never use it from the web anymore, so all of today’s changes don’t impact my everyday experience that much. To catch you up: PicPlum is a photo printing service, in the same space as something like Shutterfly or Snapfish, for example, and admittedly, a more pricey one. While PicPlum touts its high quality prints, the real reason for the extra cents that makes it worthwhile (in my humble opinion) is that it’s dead simple and convenient to use. I honestly can’t say the same about the competition. For me, “usage” means emailing select photos from my iPhone’s Camera Roll to photos@picplum.com. Afterwards, everyone I’ve configured to receive them will be automatically shipped photo prints and/or a batch via email. But today’s upgrade will entice those who prefer to work with PicPlum on the web. Fro starters, they’ve made it easier for new users to get going – you don’t have to sign up before dragging-and-dropping your photos into the box on the homepage, for example. 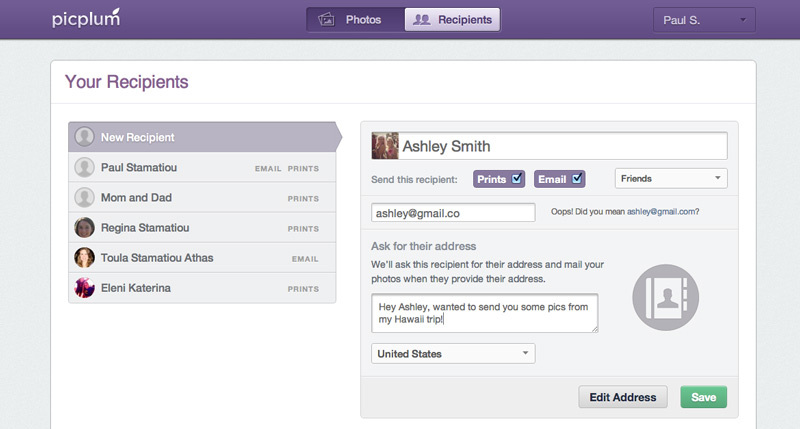 You add your photos, then add recipients via Facebook or optionally sign up for the service. Also new today are additional photo sizes: 4×6, 5×7 and 8×10’s are available, with the option to print text and dates on the back. In terms of features focused on ease of use, the service now completes typed-in addresses using Google’s Places API, fixes obvious typos (Gmial becomes Gmail, e.g. ), and it helps you track down mailing addresses you don’t know with a feature called “ask for address.” You enter in the email address for the person, and PicPlum sends out a message to them telling them you would like to ship them photos, and provides a form where they can enter their address. When complete, the service automatically ships the photos to them, without any extra involvement needed by you. However, one of the more notable features in today’s upgrade are new “sharing” pages. You can now configure a customized email address which everyone at an event can use (baby showers, family reunions, weddings, etc.). All the photos are mailed into that address, and participants can later view all the photos everyone shared from the PicPlum website, with the option to print the photos they want to keep. The company has also added the ability to send a customized greeting alongside the printed photos. They’ll soon expand this feature with themes, so you’ll be able to use this for your holiday cards, for instance. Combined, all these new features make for a completely revamped online service today. However, what’s more exciting is what’s still in the works: a mobile photo-taking app with the ability to share to PicPlum and elsewhere on the web, which will hopefully make PicPlum even easier to use from mobile, since the iPhone limits you to five photos per message. Another item on the way is the PicPlum API, which will allow third-party developers to integrate photo printing services into their app – and even generate some income by doing so, unless they want to go white label. 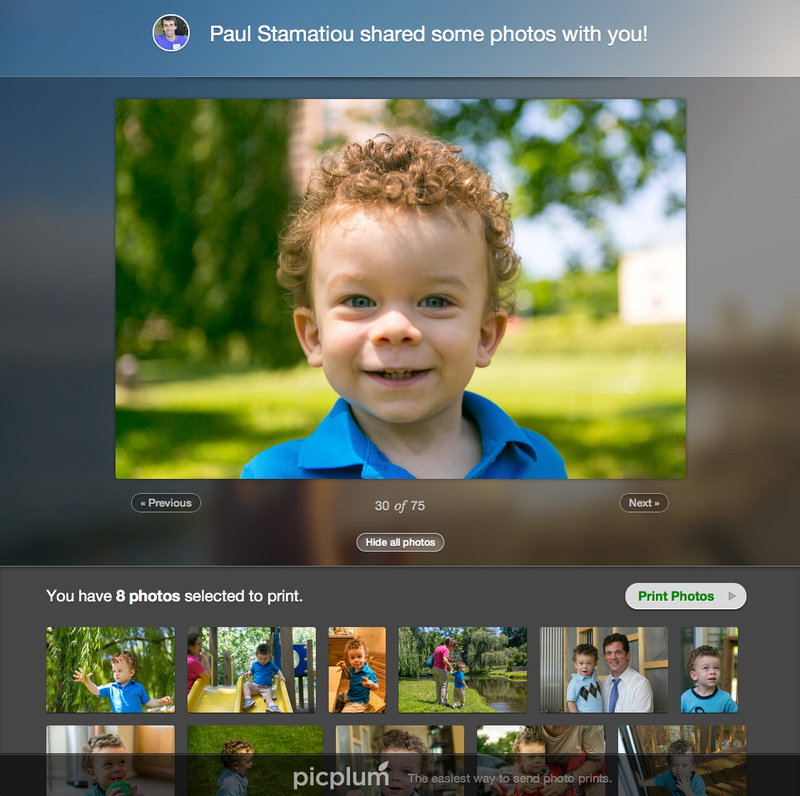 While PicPlum isn’t disclosing user numbers, co-founder Paul Stamatiou (who created PicPlum with Akshay Dodeja), says that 90% of its top users are new parents or families sending in 15-20 photos per week (guilty on all counts). Engagement is high with users returning monthly, and despite PicPlum not having a mobile app, 30% of the photos shared come from mobile devices. You can try out the new PicPlum from here.